Expanding on previous blog posts about Windows 8's "power hygiene," Microsoft has shared new details about how its latest operating system will improve battery life on mobile devices. In addition to adding a "connected standby" mode for system-on-a-chip hardware and updating live tiles with minimal resources, Windows 8 will be more intelligent about allocating the machine to inactive applications. "For Windows 8, we started off with a rule that would apply to the large majority of Metro-style apps: if an app is not on screen, and the screen is not on, it should not impact your battery life," the company wrote. Naturally, that won't affect applications that you actually want running in the background. For instance, Microsoft explained activity such as files being copied won't be halted in the background. The company said an app can be in one of three possible states: actively running in the foregrounds, suspended in the background or performing some defined background activity. Software you're actively viewing or otherwise accessing will be allowed to utilize system resources unhindered -- just like any previous version of Windows, though there are some tweaks cited in Microsoft's lengthy write-up. The second state kicks in when you switch away from an app. At this point, the Windows scheduler (schedules CPU access for processes and threads) will ignore the unused software. The app remains in a cached state, providing instantaneous access when you need it. In fact, Microsoft says switching between apps is faster than ever because the number of programs running is largely irrelevant. "Since the notion of what is running is abstracted, we have made launching an app and switching to an app essentially synonymous...Whether you switch to an app using the back stack, or Alt+Tab, or the Start screen, you can get back to a suspended app instantly. In this way, the list of 'running' programs is for all practical purposes the same as the list of programs you see on the Start screen," Microsoft said. Along with instantaneous access, suspended apps can still perform live tile updates so you'll feel as if they're still running full blast. Because you'll probably "run" many apps in the suspended state, Windows 8 can store such programs to your HDD, conserving RAM. It can also terminate suspended apps if the system is low on memory (it'll axe programs based on the RAM they occupy and their idle duration). Even in the event that your suspended app is terminated, it shouldn't greatly affect your experience because programs can incrementally save and restore their status upon relaunching. In other words, reopening terminated apps should provide a similar if not identical experience to opening a suspended app. We imagine it might just be a tad slower to present that custom state than truly suspended apps. Desktop software requiring constant access to system resources will be supported, but it'll consume about as much power as now. Metro-style apps that need regular resource access can use Windows 8's new Background Tasks infrastructure. This includes file transfers (locally or over a network), playing music, printing, receiving communications (VoIP, IM or email), as well as sharing or syncing content. Microsoft has also shared more about "connected standby," a new smartphone-like power state. Unlike typical S3-level sleep which halts all system activity, connected standby allows some activity for things such as email, IM and phone calls. While Metro-style apps have enhanced power controls, conventional desktop programs aren't as flexible. They're designed to run full bore or not at all (i.e. in sleep). This presents an issue: how do you place the system in connected standby without desktop programs chugging resources? Microsoft's solution is the "Desktop Activity Monitor," a new component that essentially disables desktop programs as if the system is in full sleep while granting limited functionality to Metro-style apps. When brought out of connected standby, desktop programs will resume as normal. You might not care about such efficiencies if you're reading this on a $2,000 desktop, but they're a big deal to folks dependent on mobile platforms. 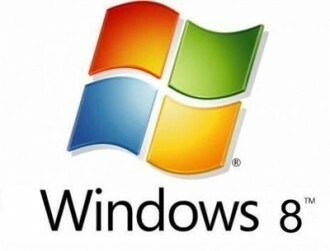 Microsoft has made it abundantly clear that it wants to make up for Windows 7's inadequacies on devices such as tablets. Windows 8 is due sometime toward the holiday season of 2012 and it'll presumably be accompanied by many slates from major PC makers.